Technology is moving at a rapid pace and enabling providers to improve care across the continuum through medical device integration, open and interoperable platforms, and the internet of things (IoT). Simply, IoT is about facilitating the exchange of information and data with smart, connected, networkable systems and by 2020, 20.8 billion connected things will be in use worldwide. This means massive data will move and be exchanged across wearables, fitness apps, location-based technology among other use cases, allowing contextually aware patient and consumer experiences. At the intersection of health care and information technology, IoT provides both opportunities and challenges to improve patient safety, increase revenue, achieve population health, and extend consumer care. As an industry, if we enable systems to communicate to one another and maintain network and security, in aggregate, we can share information that drives analytics and predictions to advance the world’s health. 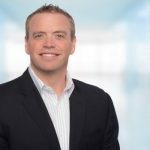 As vice president of DeviceWorks and Interoperability, John Gresham is focused on Cerner’s integrated solutions and technologies business units. This responsibility includes business, financial and product strategies world-wide for Cerner’s technology resale business, integrated solutions portfolio and managed services business development. The DeviceWorks integrated solution portfolio includes Cerner’s CareAware® device connectivity and workflow solutions, communications, network and security, telehealth, clinical imaging, workforce and capacity management, and mobility solutions. He makes an impact on clients by improving safety and efficiency of existing clinical workflows as well as transforming current care deliver models through emerging technologies and innovation. John joined Cerner in 1999 as a systems engineer. He has held roles within engineering, consulting, support, business development and technologies organizations. Notable positions include vice president of DeviceWorks Business Development and Technologies, senior director responsible for Cerner’s Advanced Technologies Group (ATG), director of Cerner’s Technology Consulting organization consisting of 400+ associates. During his time at Cerner, John drove the creation of Cerner’s CareAware® Connect strategy which brought together EMR workflows, secure communications, device connectivity, and alarm management to a single smartphone form factor. John also played a key leadership role in the creation of Cerner Smart Room™ innovations which utilize location based technologies and device connectivity to automate the acute care environment. Through these efforts John has driven strategic partnerships with Nuance®, Apple®, Qualcomm® and other key partners that have helped Cerner’s clients drive down the cost of care and increase physician productivity. Additionally, John has driven Cerner’s corporate organizational strategies around Cloud solution initiatives and open app ecosystem business programs. John is a graduate of the University of Oklahoma and has a Bachelor of Management and Management Information Systems.